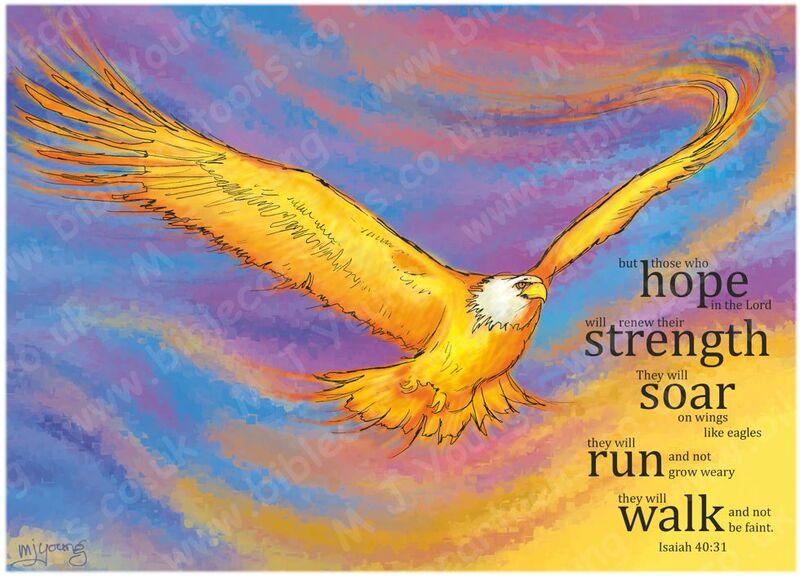 Bible Cartoons: Fiery and Brown eagle takes to the air! Fiery and Brown eagle takes to the air! I created this scene for my wife. I’ll get it printed on to a canvas for her to hang on a wall at work. It only took a few hours to complete version 01, which is pretty fast for me! My wife decided she would like the eagle to look browner; more like the bald eagle in real life, which the eagle is based on. So version 03 & 04 were created with that in mind. 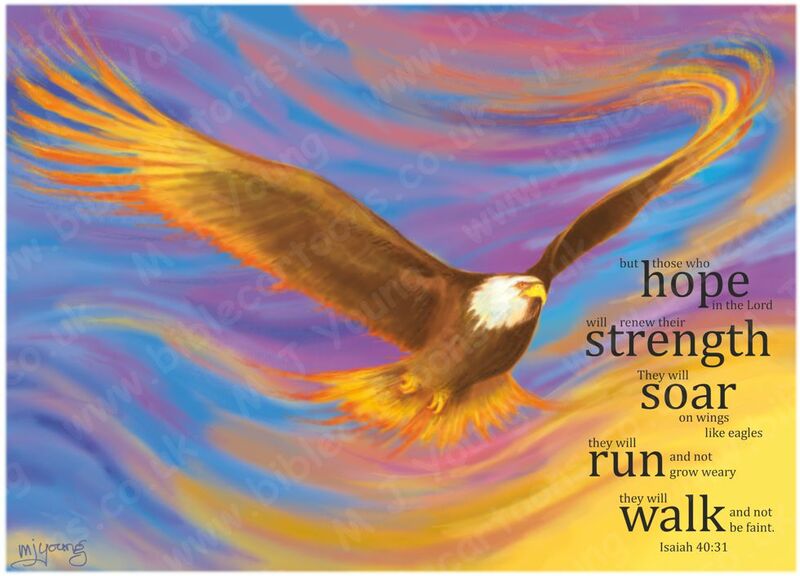 Fiery Eagle sketch with Isaiah 40:31 text. I really enjoyed drawing this scene directly on the computer – using only a reference photo of a bald eagle to help me approximate that bird’s features. 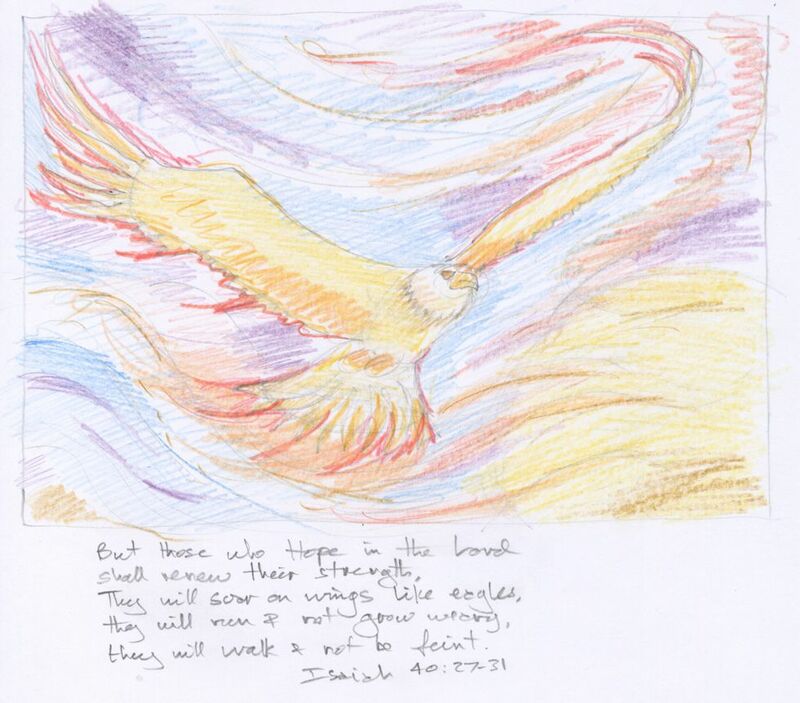 I loved drawing the fiery edges of the flight feathers on its wings. I normally have a black keyline (outline) around the figures and objects in my scenes. Only the first version of the 4 scenes (see above) has that characteristic outline feature. And, in fact, I only added it after I’d finished the picture, whereas I normally draw the keyline first, scan it in on my computer and then colour up a scene. You may not be able to see this, but I used a crayon stencil nib when adding the finishing touches to the eagle, which gives a broken line quality that I really enjoyed producing. It gives the effect of a hand drawn quality, which is rather nice. 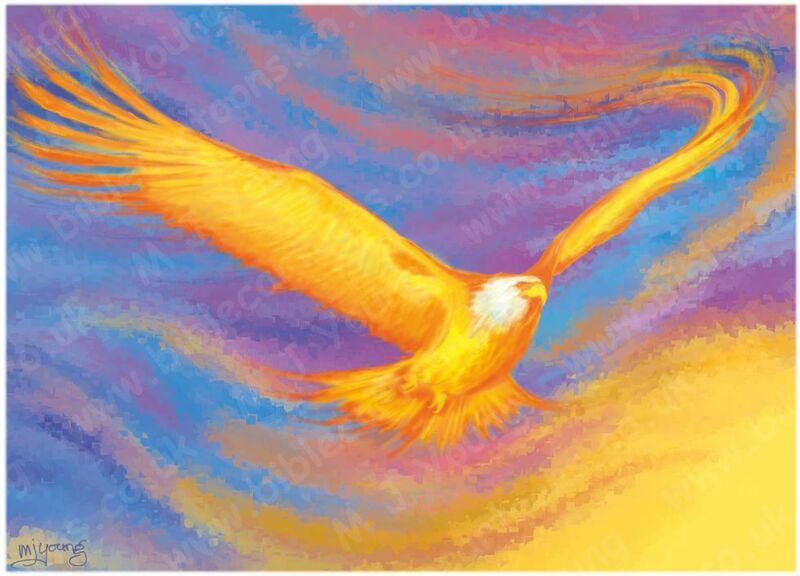 The background was drawn with smooth, flowing lines, and coloured to create a contrast to the eagle. The yellow lower right hand corner is reminiscent of the sun, whilst the blues and purples in the background hopefully translate as sky tones.